1. Professional or Do It Yourself? There are lots of things to consider here including your access to a quality custom framer, the cost, and the size and shape of your project. I’ve always done my own framing, but I typically stitch pieces that are small and easy to fit in a standard size frame. 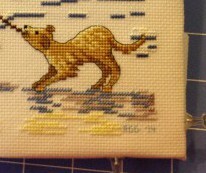 There are lots of great tutorials on how to frame up a cross stitch, so I won’t go into detail here. In brief, I’ll say that I use foam board for backing. I first cut it to the size of the frame, then cut out of the center a piece that is just larger than the opening in my mat. I wrap the stitched fabric around that inner piece and pin it in place with short pins into the side of the foam board (carefully!!). From there I simply pop it back into the larger piece of foam board for framing. This method has worked quite well for me. Whether you’re framing your cross stitch yourself or hiring a professional, don’t skimp on quality of materials. You’ve spent countless hours on your stitching, and that investment of time is worth protecting with acid and dye free archival quality materials. Thanks to the popularity of scrapbooking (at least in my area) acid free archival quality foam board, paper, tape, press board and other materials are widely available. 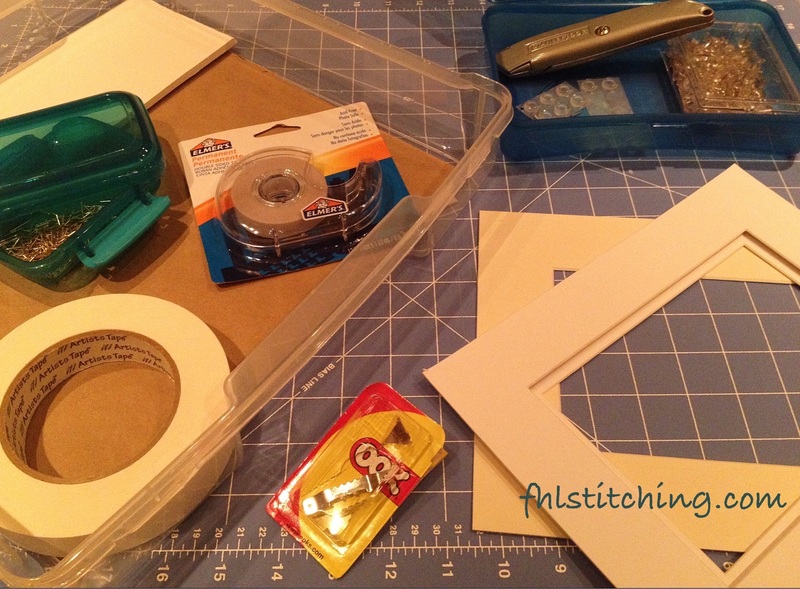 I also prefer quality wooden frames since they last well and it’s easy to staple paper or cardboard to the back to complete your framing project. 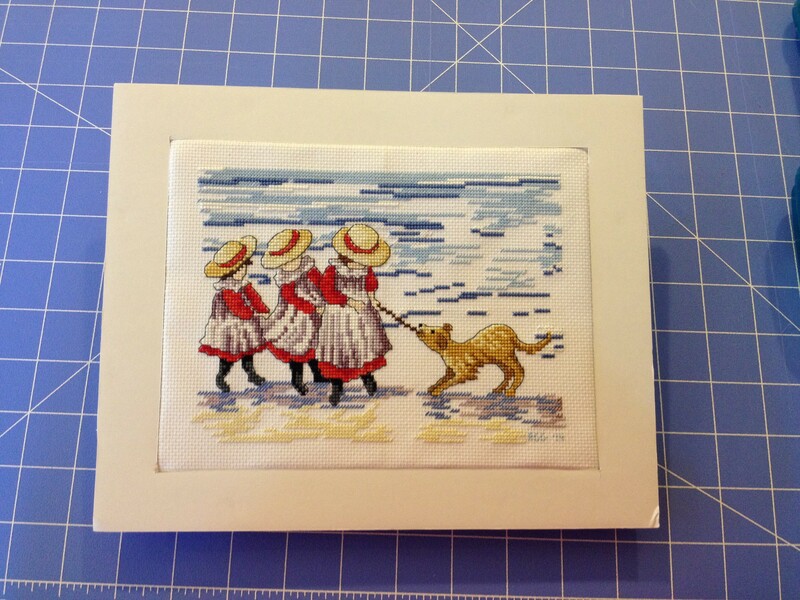 As I mentioned, I’ve typically stitched pieces that can be put in a standard size frame with a standard size mat. This is something I usually consider right from the beginning when choosing a project. Having said that, I’ve seen several websites where you can order custom sized frames and mats and I’d be interested to hear if anyone has used them. Perhaps I’ll try them one of these days. I’d also like to learn to cut my own mats… this is something I’ll need to research a bit more. When I was a teen and learning to frame a cross stitch, I was taught to wrap my finished piece around a piece of cardboard with a layer or two of cotton batting in between to give it a soft look. My current method is to use foam board and skip the batting but this is definitely a personal preference and I’ve seen beautiful pieces done both ways. On this I’ve heard two schools of thought. One is that using glass can trap moisture and cause damage to the fabric over time. Another is that skipping glass leaves the fabric exposed to dust and grime. My personal preference is to use glass to protect the piece, though I am always careful to use either a mat or a spacer or both so there is an air gap between the glass and the stitches. Finally – don’t forget to sign your precious stitching for posterity! Personally, I like to backstitch my initials and the year in small stitches at the bottom of the piece in a subtle color. I then typically finish with a personal message and the date, along with the design information and my signature on the frame backing. Enter your email address to follow FHL Stitching and receive notifications of new posts by email. Thanks!